Whole Foods | How Lucky Can Anybody Be? I apologize for neglecting my blog of late. I was in Europe for a month and curtailed my online activities while abroad. Now, however, I am back home and ready to tell you about my purchases at Whole Foods with my $50 gift card. I chose these items because they were somewhat indulgent and not what I might normally buy during a weekly shopping trip. I am still using numbers 1 and 3; the other items are long gone, alas. Thus, I feel it is fair to review only the conditioner and tea. I have never used the Burt’s Bees conditioner before. I usually buy whatever conditioner my hair stylist recommends at the salon. However, I was pleasantly surprised by this hair product. First, the green tea, fennel, and other herbal ingredients give this conditioner the most amazing aroma. My hair smells great! My hair also seems to retain its colour quite well. I wouldn’t say it is noticeably better conditioned than it has been before, but it is no worse. The price of the Burt’s Bees conditioner is comparable to what I pay for salon products. Some people may argue that it is too steep for a grocery store hair product, but as the results are equally as good, I would not hesitate to purchase it again. I will agree that the aroma is exactly as described, but as with many teas, the taste differs significantly from its scent. I cannot find anything fruity or floral about this tea. The nutty, toasty, and buttery notes are definitely predominant. Consequently, its taste is not as complex as I’d hoped. On the other hand, it does deliver what a black tea must-a significant jolt of caffeine to the drowsy sipper. My biggest complaint about this tea is the lingering dryness it leaves in the throat. I’ve experienced this with other black teas and it tends to ruin an otherwise pleasant experience. Would I buy it again? Probably not, as it is as costly as many loose teas that deliver more. 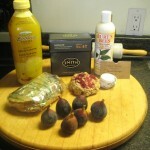 I thank Whole Foods for this great prize and enjoyed trying new products and shopping in their store.